This is an excerpt from Rick Grayson’s new book “Inspire Junior Golf”. I am doing a book club with my staff and this is our book for this one and what an important topic this is. Our goal is to find at least 3 ideas that we can implement into our current program and improve it and we ended up with about 10. I just wanted to give my review on this wonderful book and also highlight some areas that might help us all as coaches, players and parents. I happen to be 2 of the 3 as I am a coach to many juniors and I am a parent to an 11-year-old junior golfer that is playing tournaments so this book spoke to me in many different ways. So I want to highlight 4 chapters that I think are important and what we can learn from them. Grayson says,”Golf is one of the few sports in which you don’t play on an organized team until you are in the ninth grade.” He believes that team sports offer the greatest potential for individual growth of any organized activity in our society.” Here are the six ingredients team sports provide – 1.teachability 2.character 3.integrity 4.perserverance 5.positive attitude 6. self-esteem. How many of you have used life skills with terms and definitions to encourage the kids while they learn. Golf is life and this is a great place to start with any program. This chapter is full of great ideas to make your junior golf program more exciting and fun. If you know Rick, you know he is the SNAG GOLF King. SNAG stands for Starting New At Golf and is a great way to introduce kids to golf in a fun way using big plastic clubs, targets and tennis balls. Birdie Ball is another great game to use in your programs (round plastic circle) that you can use indoors and out and the kids love it. Mr. Grayson is also big on blow up targets such as Golfzilla that you can hit real, tennis balls or birdie balls into and have contests. And lastly Rick’s new invention is a board game called “Golf Fore Fun”. It combines golf skills with exercise, rules and etiquette. Rick showed me this prototype over a year ago at a conference and I think it will be a staple to every junior program. This has been something that has interested me as I teach a lot of elite juniors. I encourage the parents to be involved but not to the fact that it hurts or confuses the junior. Parents that try to teach their kids with the wrong information becomes a problem. This should be addressed right up front the role that they need to play. Parents need to be careful of over teaching or teaching something that the coach is not which will create confusion. Rick agrees that you should have the parent observe the lesson so that this confusion doesn’t occur. He also stresses the importance of a parent displaying a positive attitude towards the kids as it can affect the performance if handled in a negative way. This is something that i have to work hard on as a parent as well. Asking the child what they did well instead of what they did wrong and encouraging them instead of always criticizing. Sometimes a parent can change affect the player on the course just by a groan, a noise or a look that the junior will pick up on. Rick says it is difficult but consistency in behavior is the key for the parents. Tone of voice and a smooth pitch level is important. Here is what parents can do: Start the junior young, give the junior the tools to learn, Keep it simple, value the sport;respect the game and the people who play it (my personal favorite),offer small prizes for success…….Great advice for sure! 1. Set the example “hole model” – playing fair on the course and in life. 2. Talk the Talk – The importance of being a good public speaker. Personally I was the worst public speaker on the planet when I started in this business and this is something that I knew I needed to be proficient at if I wanted to be a top teacher. Rick recommends taking a public speaking course. (I suggest Toastmasters), practice in a mirror and speak at as many functions that you can. 4. Social Networking – Quote,”If the coach is going to stay on top of business, he needs to be a part of the social networking world. The coach needs to join Facebook,Twitter and LinkdIn and use these services to communicate with juniors and their parents.” I would like to think I had some influence on this one as my friend John Graham and I introduced Rick to twitter awhile back and it is great to see him embracing the social media and marketing as I think this kind of forward thinking is important. The rest of the chapter discusses the importance of keeping up with technology, education, leadership and hiring (Albert Einstein) people who are smarter than you. This is a fabulous outline of how a young coach or any coach could use to get better and improve their teaching skills. To summarize, If you spend any time with Rick or just talk to him on the phone you can feel the passion and enthusiasm that he has for working with juniors and growing the game. These are key ingredients that are a must in developing a successful junior golf program and none do it better than Rick. 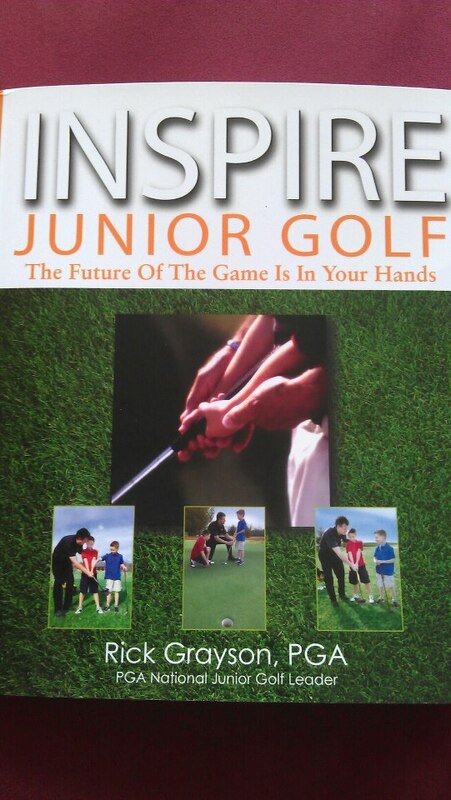 There is so much valuable information in this book and It should be a must read for golf professionals that are interested in growing the game and improving as junior golf coach. In my opinion, this should be the junior golf manual for the PGA of America. Thank you Mr. Grayson for your hard work and for sharing the information. It will definitely help us all to grow this great game. Let me know your thoughts on the book, junior golf or this review and feel free to share by using one of the buttons at the bottom. As we come to the end of another year, I think it is beneficial to do two things. 1)reflect on the past year (what you did well and what mistakes can we learn from) 2. Set goals and look ahead to 2010 (what do you want to accomplish and more importantly do different and improve on). I enjoy looking at my goals that I had set to see which ones I accomplished and which ones that I didn’t and may want to carry over to next year. I encourage you all to do these things as well. 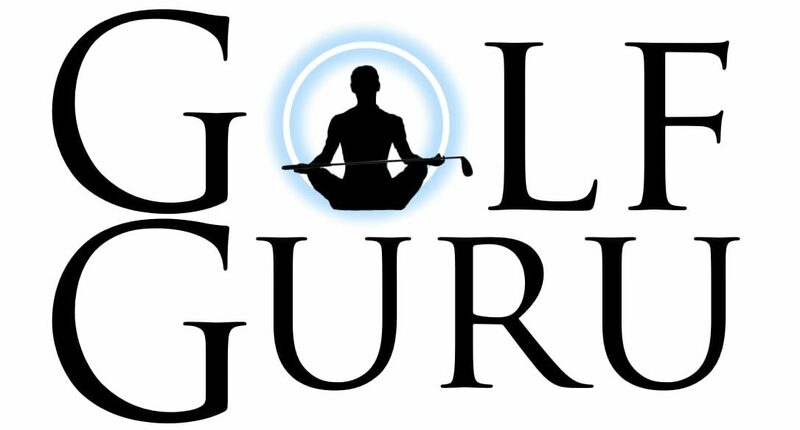 Break them down into different categories (golf, spiritual, career, fitness etc.). I am not going to bore you with all my goals and aspirations but I will share with you a few things that I think might spark some interest in your growth as a golfer and as a person. One of the traits that we live by at the Dana Rader Golf School is being a continuous learner in all aspects of life. I work with a group of go getters that will not let you rest on your success and that keeps me on my toes when it comes to growth as a teacher/coach and as an individual which I like. We all enjoy sharing our knowledge gained from the books we read in our book club sessions or on our own and our best practice trips from other golf schools or facilities. 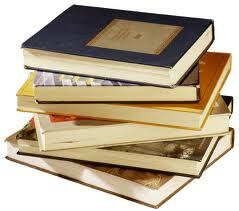 I am a veracious reader and always have 3 to 4 books going at one time. If someone recommends a book I usually find a way to get it and read it. I often get the question from students or people that I meet. “What are you reading?” or “what are your favorite golf books”. I would guess that I have read hundreds of golf books and you might be surprised that I do read about other things that I find interesting and might help me in life or my career. So I made a list of the books that I read in 2009 (the ones that I could remember) and also a short list of my favorite golf books that I would recommend having in your library. Although I do think it is difficult to learn everything about golf from a book, it is a great place to start. One of my idols, Mr. Jim Rohn said,”There is no coincidence why there is always a library in houses of $250,000 or more.” So here is some food for thought or bread for the head. I encourage you all to take some time to write down your goals for the upcoming year and reflect (good or bad) on the past year. 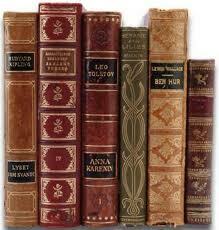 I hope you enjoy my list and would love to hear about some books that inspired you in your life. Sole Purpose- shoes of hope from the feet of a samariatan by Manny Ohonme. Let me know of some of your goals and I hope it includes the help from the GURU and the Dana Rader Golf School.